The Prestonwood Forest Maintenance Association is dedicated to enhancing the community appeal and resident’s enjoyment of the ‘common areas’ within our unique forest community. The ‘common areas’ include the turf and garden areas surrounding the Recreational Facilities (the Clubhouse, Tennis-1 and Tennis-2 Facilities, and Pool-1 and Pool-2 Facilities), around the Entry Monuments (at S.H. 249, Schroeder Road, and Hargrave Road), and the esplanades within Prestonwood Forest. Year-round landscaping activities include caring for the mature trees, planting new trees, the turf and irrigation system maintenance, and enhancing the garden areas with complimenting plants and seasonal color. Prestonwood Forest has 20 landscaped ‘islands’ on its cul-de-sac streets. Several are meticulously landscaped and maintained by residents, who prefer to enhance the appeal of their street with desired greenery, ground cover and seasonal color. The remaining cul-de-sac ‘islands’ are maintained by the Association within the ‘common area’ landscaping services. Because cul-de-sac ‘islands’ are not constructed with electrical power and irrigation systems, landscaping typically consists of mature trees and drought tolerant shrubs. Residents with questions or suggestions about the ‘common area’ landscaping - or who are interested in assuming ownership of their street’s cul-de-sac ‘island’ - are encouraged to contact the Maintenance Association, either through the website’s Contact Us feature or by attending the monthly Association Meeting . Coordinating any changes in cul-de-sac ‘island’ maintenance is extremely important in order to ensure that the Association’s contracted maintenance does not conflict with the resident’s landscaping activities. The Prestonwood Forest “Yard of the Month” program is dedicated to improving the quality of living and appearance of our community. We encourage residents to take pride in their homes and neighborhood. In turn, we look to celebrate those who do a superior job in maintaining their yards in such a way that they enhance the overall appeal of the entire community. After sunny summer days have passed, many plants lose their leaves and cease to bloom. During this time, gardens can become colorless and dreary, unless you plant a selection of seasonal plants. If you want to have a bright, colorful garden in the fall, it is important to select plants native to our area and climate. 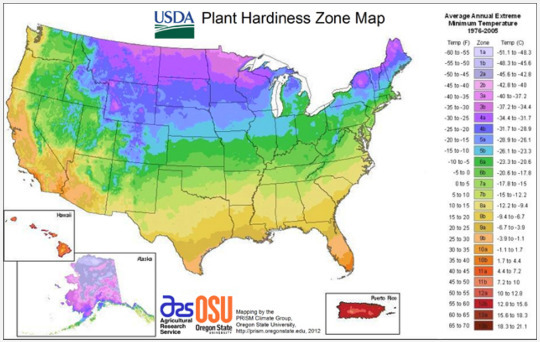 Understanding our USDA Plant Hardiness Zone will help as a guide when identifying plants that will bloom when many other plants are past their best (the USDA zone for 77070 is “9a). Consider flowering plants such as: Dahlias, Sunflowers, Zinnia, Black-eyed Susans, Fall crocus, Anemones, Aster, Clematis, and Sedum 'Autumn Joy' for fall color. The worst of the summer heat will have subsided soon. Refreshed by the thought of breathing cooler air, you're poised to roll up your sleeves and do some fall lawn care. But you should read these tips first. The regimen right for your situation will vary, according to whether your lawn is composed of a warm season turf grass or a cool season turf grass. If you are unsure which type comprises your lawn, take a sample to your local county extension. Cool-season turf grasses are so called because they thrive in the cool weather usually associated with spring and autumn. Examples are rye grass, the fescues (both "fine" and "tall" kinds), Kentucky blue grass and bent grass. By contrast, warm-season turf grasses grow most actively when the weather is warm, which is why they are the preferred grass types of the South in the U.S. Some of their names even make you think "South," as is the case with Bermuda grass and Saint Augustine grass. Other kinds include zoysia grass and buffalo grass. • Correct soil pH: if your lawn is not performing well, have your soil tested. If the soil test should show a need to reduce acidity, apply lime now. If alkalinity needs to be reduced, apply sulfur. Fall lawn care for cool season grasses includes ensuring that lawns receive enough fall water to carry them through the long winter. Don't think that because the temperatures outside are no longer consistently high, you can totally forget about watering in the autumn. Overall, you won't need to water nearly as much as in summer, but during hot, dry spells in autumn, remember to provide sufficient water. Another fall lawn care tip that applies specifically to the maintenance of cool season grasses is fertilization. Apply 1 pound of nitrogen per 1,000 square feet of lawn. Or purchase a product that has a low middle number for NPK; for example, Scotts' "WinterGuard" Turf Builder has an NPK of 32-0-10. Conversely, avoid fertilizing a warm season turf grass in the autumn. The latter undergoes a hardening-off process during this time of year to prepare it for winter. Fertilizing warm season grasses in the fall may interfere with that hardening-off process. So what fall lawn care tasks should you be performing for warm season grasses? By overseeding with annual winter ryegrass (Lolium multiflorum), homeowners whose lawns are composed of warm season grasses can enjoy a green carpet during the winter, instead of having to look at a brown lawn. But when you buy the seed, be sure to ask for the annual, not the perennial. Annual winter ryegrass will die back when summer's heat returns, turning over the lawn once again to the warm season grasses. This exit is a timely one. The problem with the perennial winter ryegrass is that it doesn't go away, competing with your warm season grasses for sunlight, water and nutrients. Lawns composed of cool season grasses can also profit from overseeding. But in this case, the motivation behind overseeding lawns is not winter cosmetics, but to fix bare patches -- with an eye to next year's lawn. 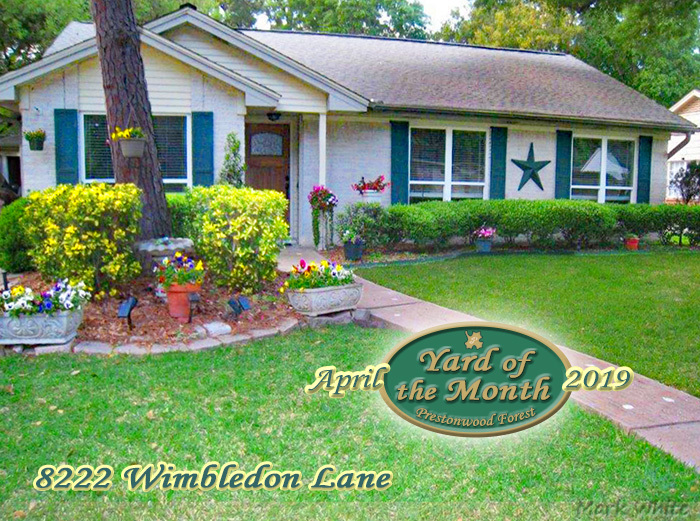 Congratulations to the Baylis Family at 8222 Wimbledon Lane for recognition as the April 2019 ‘Yard of the Month’! The following are also recognized, with April’s ‘Honorable Mention’ for doing a superb job in maintaining their yards in such a way that they enhance the overall appeal of the entire community: Siado Family at 8231 Devonwood Lane, Higginbotham Family at 8102 Durklyn Lane, Ingram Family at 14134 Burke Forest Drive, and Eagan Family at 14627 Ravenhurst Lane. Please be sure to visit the ‘Photo Gallery’ for photos of all ‘Yard of the Month’ homes, in addition to homes recognized with the monthly ‘Honorable Mention’. The ‘Yard of the Month’ program begins in April and continues through October. Residents may nominate homes for next month’s Yard of the Month recognition, by using the ‘Contact Us’ email feature, and by directing nominations to the Landscape Director.